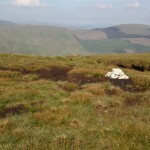 Lugnaquilla is the highest mountain in Wicklow and the only Munro (i.e. 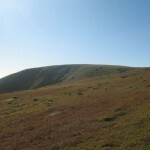 hill above 3000ft). 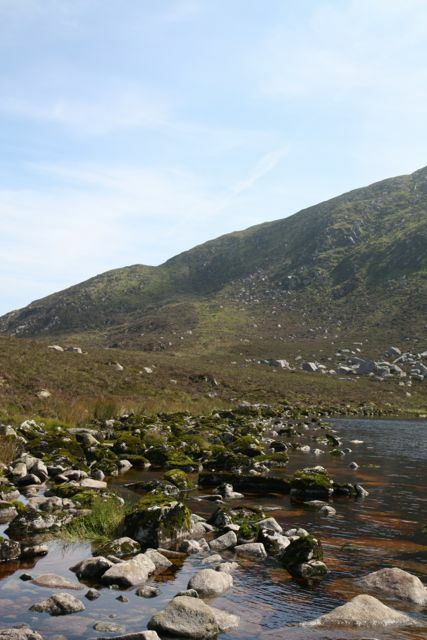 It rewards the effort of climbing it with panoramic views over Glendalough and the Wicklow hills and views inland over the Blessington Lakes and Co. Kildare. 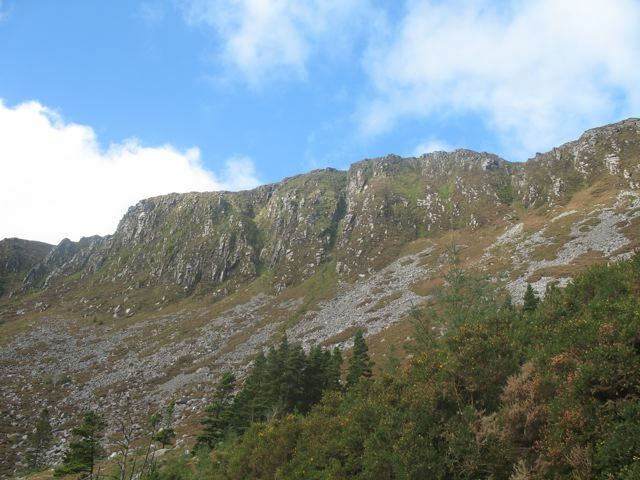 There are a number of possible routes up Lugnaquilla – the one given here passes the dramatic cliffs of Fraughan Rock Glen and takes a short but steep route to the summit. This walk is not suitable for inexperienced walkers. 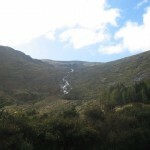 Start from the car park at the end of the Glenmalure road, near to the youth hostel. Follow the small path north-west from the car park along the side of the river to find a small footbridge. Cross the river and continue along the road past the youth hostel. Fork left uphill a short distance after the youth hostel, following a forestry road up into Fraughan Rock Glen. 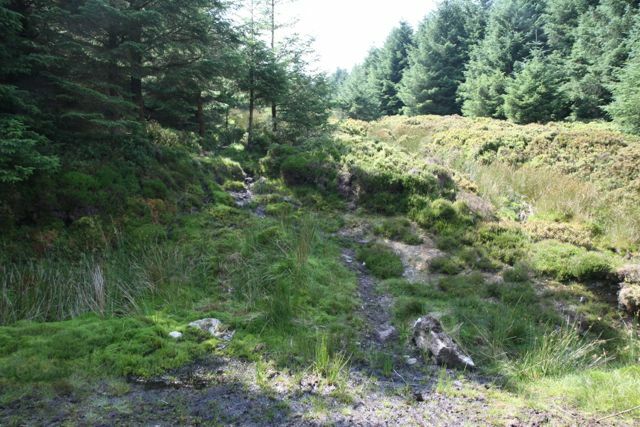 In Fraughan Rock Glen the path follows beside the river, with the path gradually deteriorating as the river descends the steep slope at the head of the glen. 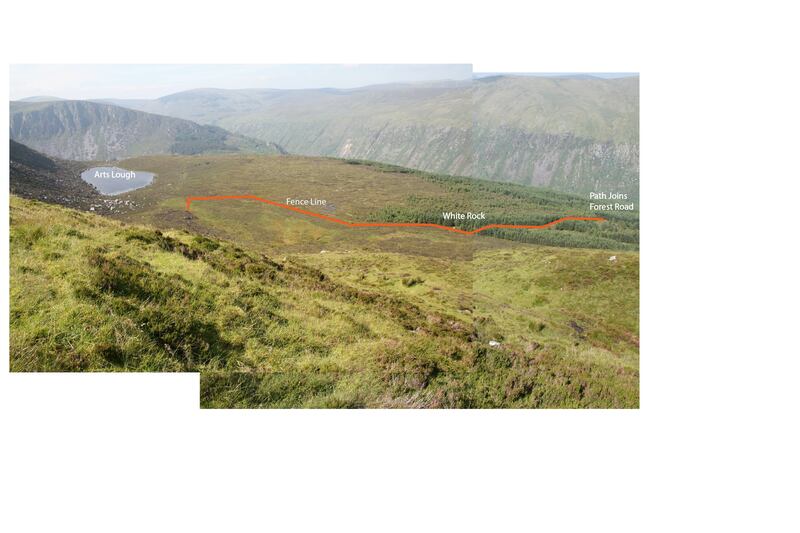 Follow the path up to emerge onto an open area at the head of the glen with the summit of Lugnaquilla now visible in front. 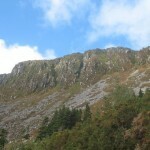 At this point one option is to bear right to reach the lower part of the northern shoulder of Lugnaquilla and then follow the shoulder to the summit. A shorter alternative is to bear left and take a more direct (and steeper) path up to the shoulder. In either case, once on the shoulder, the path to the summit is clear. 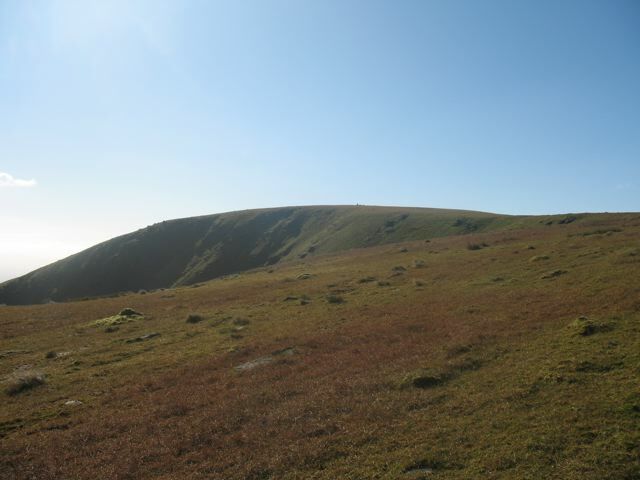 Returning from the summit, head east along a gentle slope to reach the summit of Clohernagh. 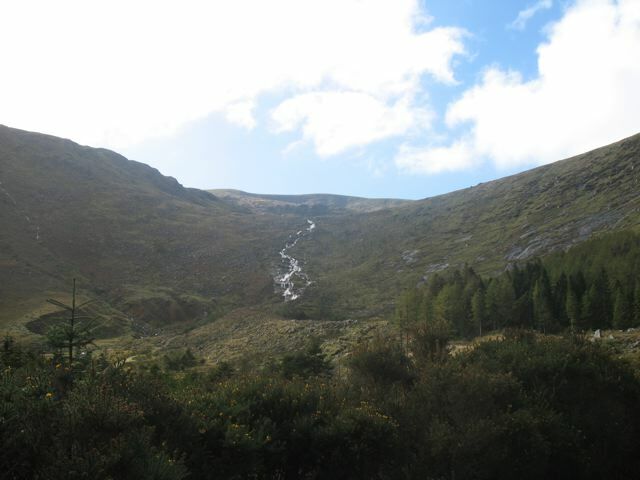 Follow the path east that descends the shoulder of Clohernagh (keep to the north of the shoulder to find the path) to join the path at the dramatic Carrawaystick Waterfall. 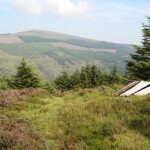 Follow the path down to the Glenmalure road and return along the road to the car park. 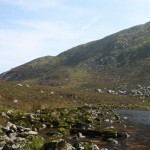 An alternative descent is to again begin following the path east from Clohernagh, but then bear north and descend to Arts Lough. 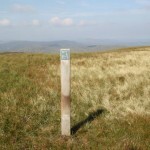 The path turn-off to Arts Lough is about 300m after a post marking the boundary of the wicklow mountains national park. 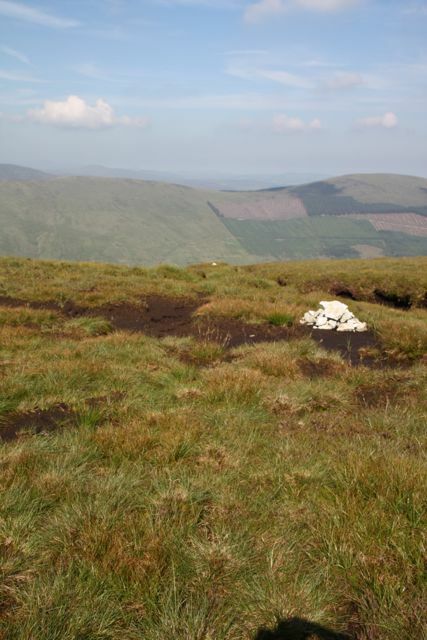 The landscape is rather featureless, but the path down to Arts Lough is marked by white cairns. The path descends to Arts Lough via a grassy ramp, with great views. At Arts Lough there is a fence running parallel to the lough. Follow this fence past the lough and you will find yourself overlooking Fraughan Rock Glen. Continue following the fence line down a steep grassy slope to reach the river. 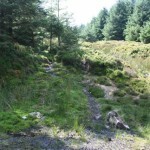 Cross the river to rejoin the path you took on the way up – turn right on the path to return to the start of the walk. At Arts Lough, an alternative descent is through the woods beside the lough. To find the path, look for the fence running parallel to the lough and follow this to your right (heading back away from the lough). 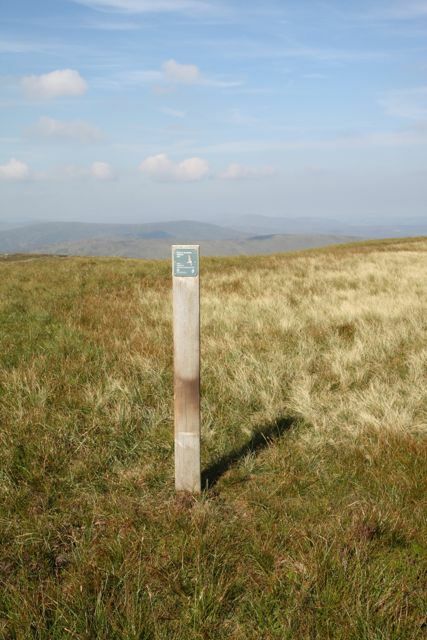 You will pass a stile, the fence then takes a sharp turn to the left. There is a second stile and then the fence tales a turn to the right and passes a large white rock. The start of the forest path is 20-30m past this rock – see photo below. Initially the path is quite faint but quickly becomes more distinct. 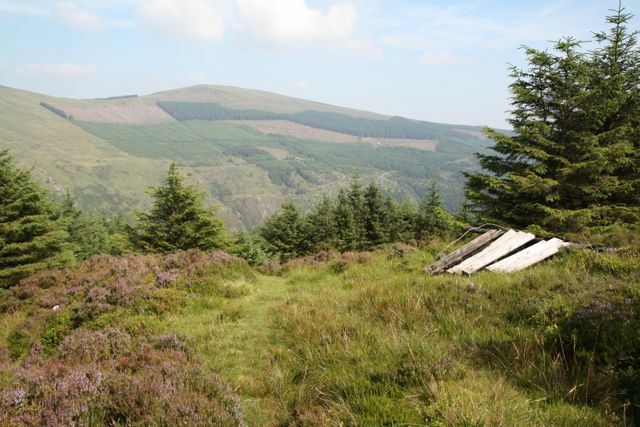 After about 300m the path passes a collapsed hut and then heads more steeply downhill to join a forestry road. Turn right along this road heading downhill. The road makes a few switchbacks. Keep heading right and downhill when you reach a junction with a second road. 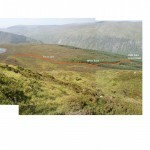 Follow to the Glenmalure road and return along the road to the car park. The google map above lacks detail and is indicative only. Do invest in a suitable map before going on this walk (e.g. see links below). How long does it take from the car park to Lugnaquilla please?